Time for another AFA Podcast! With the rest of the team otherwise engaged it's up to Chris and Rachael to hold the fort again this week! With so much going on in the animation world lately, this episode we decided to concentrate mainly on the sudden influx of exciting animated trailers! 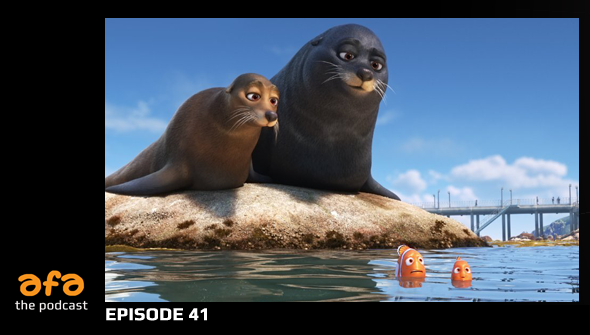 There's lots of news to cover with the new trailer for Finding Dory (0:01) giving us the Fishy Feels, and Chuck Steel: Night Of The Trampires (0:23) tickling our funny bones. Later on we talk about what we've been watching which this week is Kabaneri Of The Iron Fortress (0:48), Street Fighter Alpha (0:58) and Zatch Bell (1:06).